After separating from its parent company Oppo, Realme launched the Realme 2 at a starting price of Rs 8,990 in India. At the end of the launch event of the Realme 2, Madhav Sheth, Chief Executive Officer of Realme India had teased another smartphone launch scheduled for September. 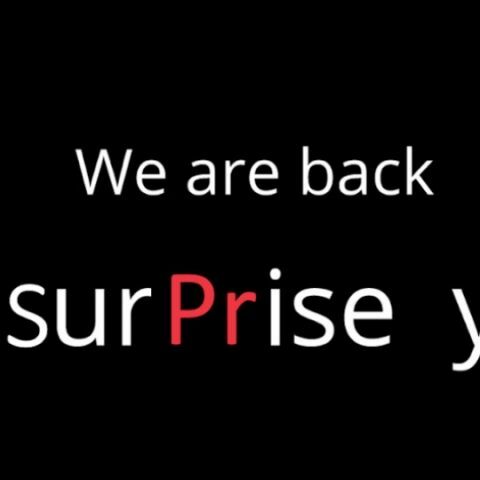 The company has now sent out media invites for the said smartphone launch which, by the looks of the teaser, will most likely be called Realme 2 Pro. The Realme 2 Pro coukld be a high-end version of the Realme 2, with improved overall specs. Sheth was also reported to have said that the Realme 2 Pro will be priced below Rs 20,000 and that it will come with a new SoC and improved design. The Realme 2 features a 6.2-inch HD+ display with a notch and 19:9 aspect ratio. The smartphone’s screen-body ratio is 88.8 percent which the company claims is one of the highest in this price segment. Realme 2 features the second generation of the diamond-cutting design and is made up of a scratch resistant 12-layer nano-tech composite material. There is a dual-camera and a fingerprint sensor on the back. In the camera department, Realme has incorporated dual-cameras on the back with a 13MP main camera and a 2MP secondary lens setup. The front shooter has an AI-powered 8MP lens that intelligently recognises 296 facial points and accordingly gives customised beauty effects, even in a group selfie. The Realme 2 comes with an enhanced user interface ColorOS 5.1 atop Android 8.1 OS. The Realme 2 is priced at Rs 8,990 for the 3GB RAM and 32GB storage variant. The the 4GB RAM and 64GB storage model of the phone is priced at Rs 10,990. The Diamond Black and Diamond Red colours of the Realme 2 are exclusively available on Flipkart through flash sales, while the Diamond Blue colour will be available by early October. You can read our review of the Realme 2 here.